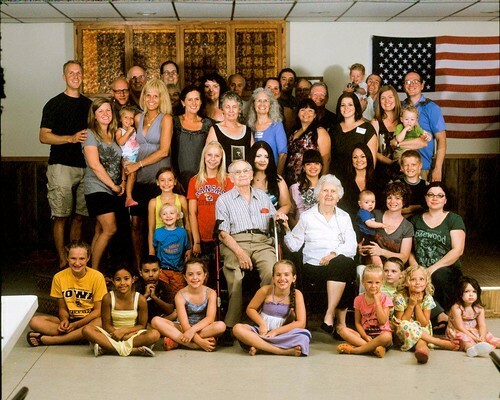 Here is the photo of Grandma and Grandpa Dieter with the kids and grandkids and great-grandkids. It was super fun going and seeing everyone again. Riley only tried to drink from one flower vase and Max only cried twice. So all and all it was a good day!